Are you looking for adventure? Do you need help planning your next vacation? Are you in need of inspiration? The Chicago Travel and Adventure Show has you covered. 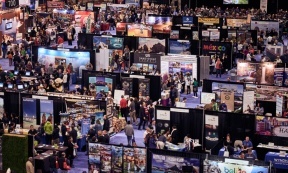 This Saturday, Feb. 10th and Sunday, Feb. 11th, at the Donald E. Stephens Convention Center, 5555 N. River Rd., Rosemont, hundreds of exhibitors from across the globe will be on site to offer travel tips and help you obtain your dream vacation. 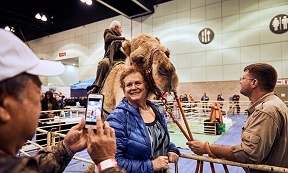 The Chicago Travel and Adventure Show will also include access to dozens of inspirational, educational and culturally focused sessions on five stages located right on the show floor, along with hands-on activities for the whole family. At the Savvy Traveler Theater, visitors will interact with travel experts on subjects ranging from packing and travel technology, to maximizing credit card reward points and travel safety tips and plan in an unpredictable world. At the Destination Theater, travelers will receive destination-specific information from local experts containing information on when to go, how to get there, what to see and local, off-the-beaten-path attractions from destinations such as Australia, Maui and Canada. 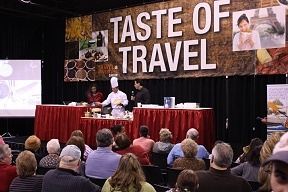 The Taste of Travel Theater highlights top chefs who present live cooking demonstrations right on the show floor. Featuring cuisines from around the world, guests will have the opportunity to taste samples and get a full cultural experience in a stadium-seating styled theater. At the Global Beats Stage, attendees can feel the beat and experience the rhythm of cultural dances and musical performances during more than 20 presentations throughout the weekend. If you would like to learn more, visit www.travelshows.com/shows/chicago. © 4938 Chicago Hispanic Newspaper, Lawndale News, Hispanic Bilingual Newspapers, Su Noticiero Bilingue. All rights reserved. XHTML / CSS Valid.